This is quite the collection of Pixi Beauty I have here, isn't it? One day last summer, I was asked if I wanted to be on their PR mailing list. A year later, I'm swimming in Pixi. And I'm not mad about it. I'm not mad about it one bit. Most of their Skintreats line has turned out to be rather delightful, much more so than their beauty line that I have also had the chance to try out. Skincare stuff is much more my style right now, anyway. Pixi Glow Tonic - The holy grail of all Pixi products, if the internet is to be believed. I like it, but I'm not completely converted away from my go-to liquid/chemical exfoliators like Paula's Choice or Reversa. It contains 5% glycolic acid and is alcohol-free, which is a major bonus! Pixi Glow Tonic To-Go - Portable, travel-friendly version of the above. They remind me a lot of the First Aid Beauty Facial Radiance Pads. Pixi Glow Mud Cleanser - I've almost used this one right up, and the name is almost entirely rubbed off the tube. I use this in the mornings when my skin is feeling a bit oily or rebellious (i.e. acneic), as it also contains 5% glycolic acid. Brilliant for calming things down and cutting oil. Pixi Nourishing Cleansing Balm - I adore this, and have almost used it up completely as well. It's thick and greasy and is fantastic as a first cleanse in the evening. Pixi Glowtion Day Dew - The only Pixi skin product that doesn't really work for me. My face looks so shiny after applying it, and my pores get super congested after a day of wear. Much more suited to dry skin, I think. Pixi Glow Mud Mask - I find this too intense to use all over my face, but very effective as a spot or t-zone treatment. Pixi Nourishing Lip Polish - This is relatively new to me, but I'm already a fan. The applicator is great for buffing your lips while applying the lip serum treatment, leaving them smooth. So far so good! Pixi Rose Oil Blend - I'm a fan of facial oils, and this one is really quite good. Among its ingredients are two of my favourites - rosehip oil and jojoba oil - so there's a lot going for it! I use this at night when my skin is feeling dry or flaky, and it absorbs really nicely. Pixi Lash Nourish Makeup Remover Pads - Surprisingly good. They don't sting my eyes, and actually get most of my eye makeup off. I was shocked to see NO BLACK leftovers on my white facecloth after my first cleanse! 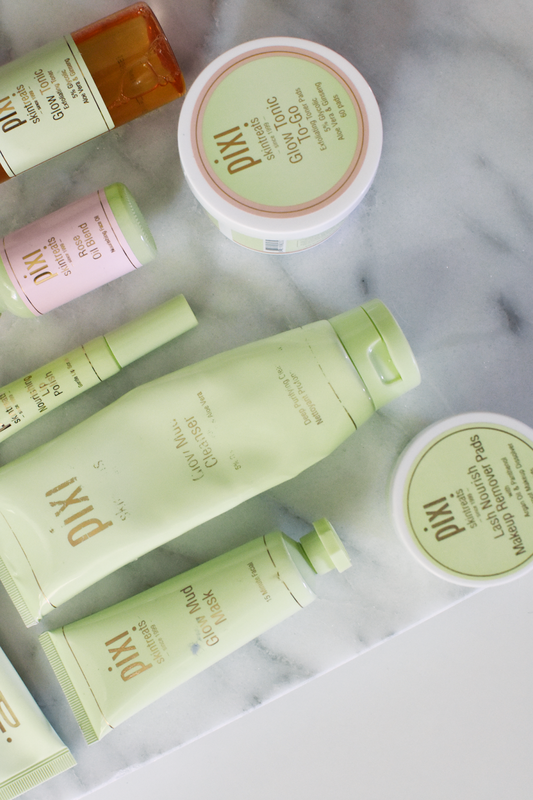 The words "glow" and "nourish" seem to be Pixi's key phrases for their skin products, and I can't help but agree that they are fitting. 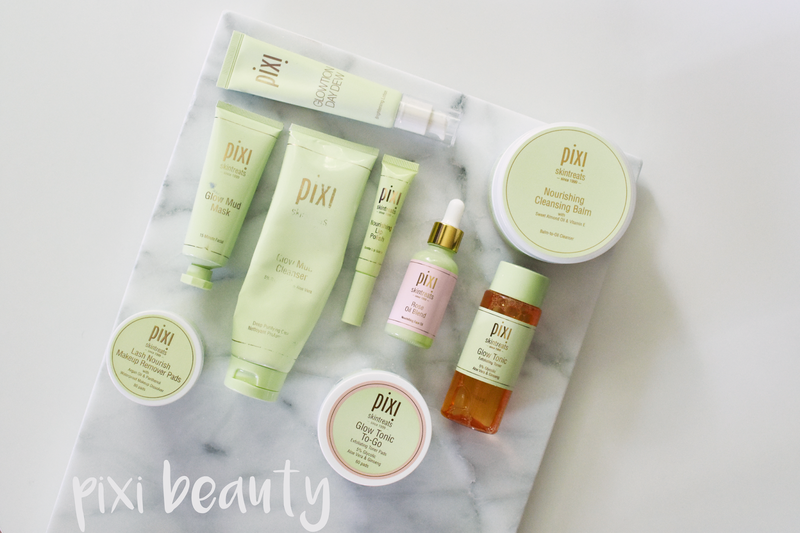 Pixi has come out with a really impressive skincare line here, and I'm truly bummed that when Target left Canada, it took Pixi with it! Just when it was getting really good! 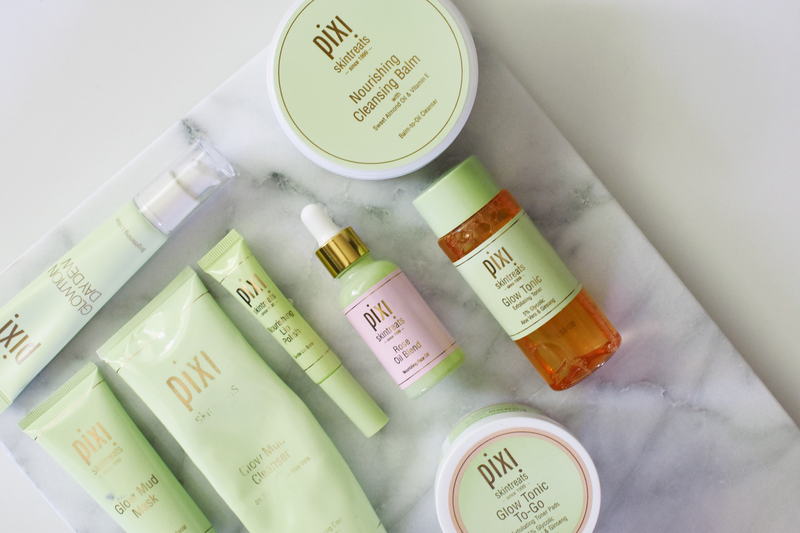 Have you tried Pixi's skincare line? 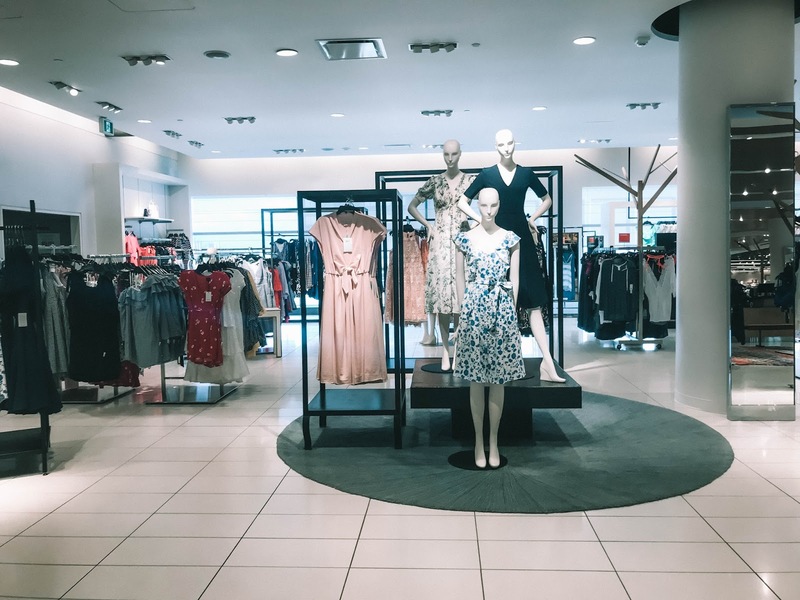 What are your top products?